Join the Vogts Sisters this Saturday in Burlingame, KS at the first annual Trail Celebration. Fun for the family with activities all day. Free Admission. 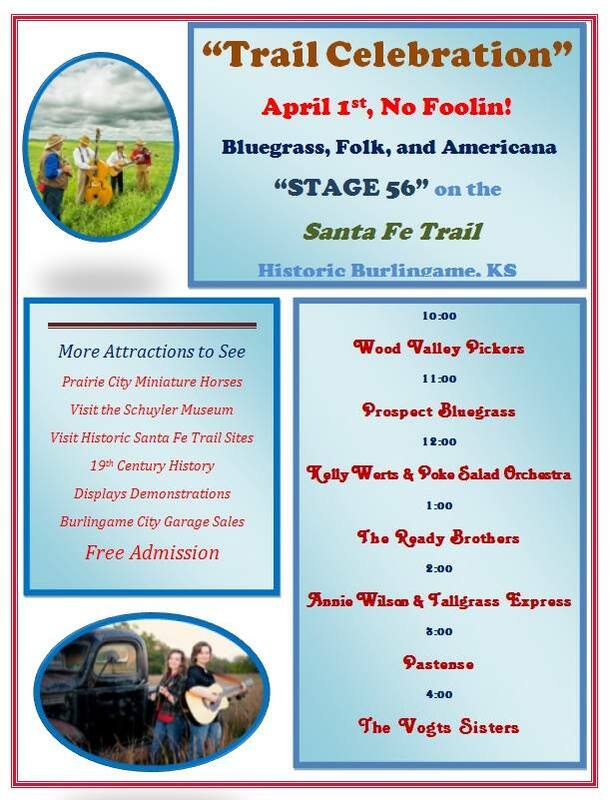 Music beginning at 10:00 AM with the Vogts Sisters at 4:00 PM.